Increasingly, young opera singers from all over the world are moving to Germany, drawn by the prospect of steady work—even full-time employment. In 2013 Germany saw 7230 opera performances, one-third of the world’s total. German opera houses employ 1270 soloists and 2870 chorus members on full-time contracts. This according to “If you want to sing opera, learn German” by Elisabeth Braw (Newsweek 17 July 2014; online only). 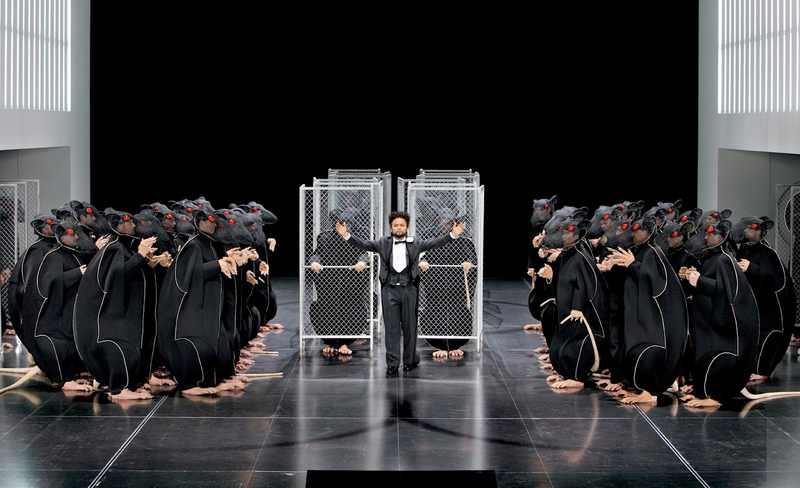 Above and below, a recent German opera production that provided numerous employment opportunities.